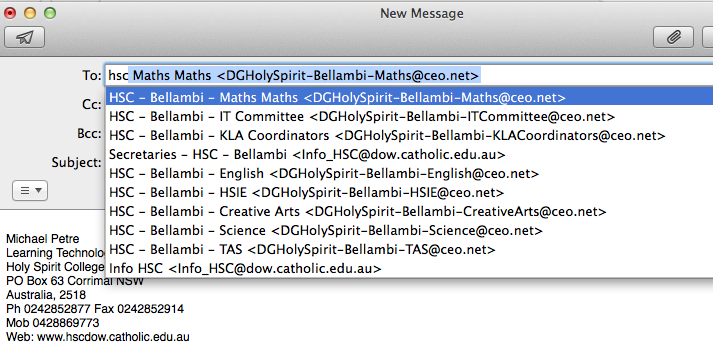 Staff should try to direct their emails to the right people. 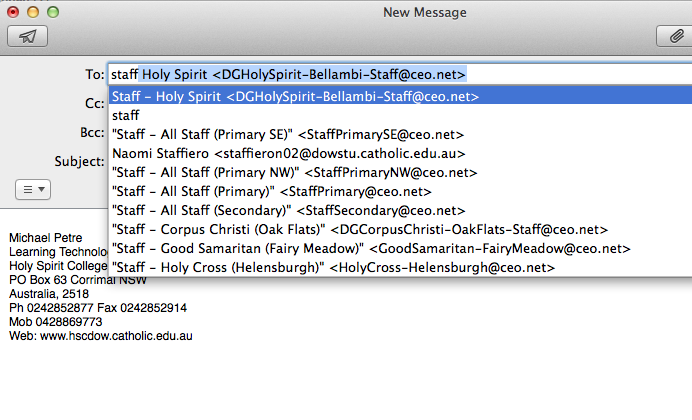 a) Create a new email message and enter the term 'hsc' in the To: part of the email message shown below and choose the specific group you wish to email. a. 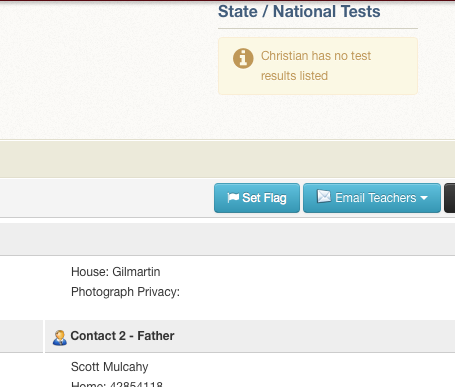 Go to the address book and enter 'hsc' in the text box as shown below and select the magnifying glass. 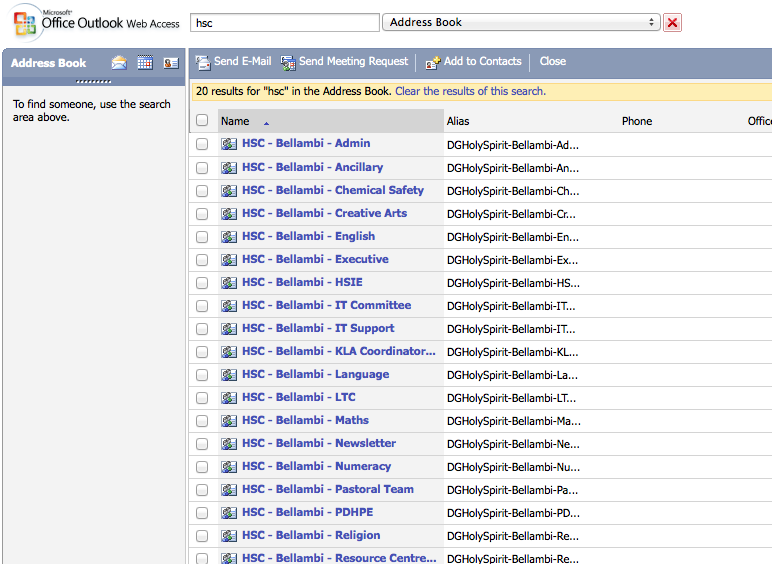 Then choose the group by clicking the respective checkbox and select the 'send email' button. 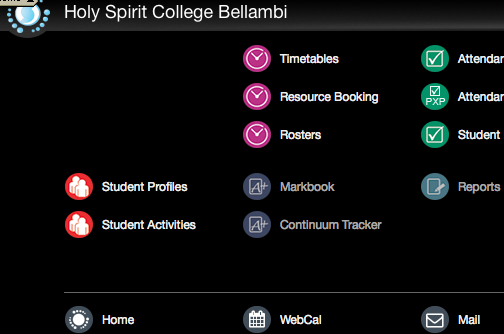 a) Go to Sentral- Student Profiles and search for the student. 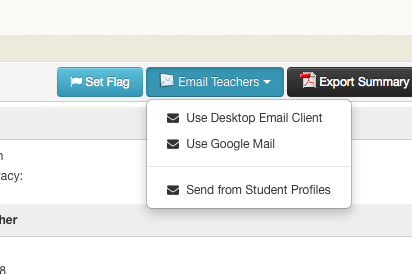 Scroll down and on the right select the button 'Email Teachers'.